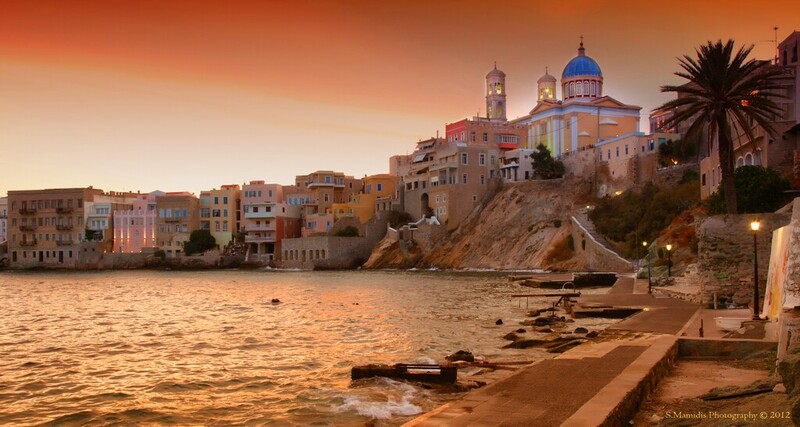 Like every Greek island, Syros organizes plenty of Christian and Catholic feasts. These two traditions have an enormous influence and they are celebrated in a unique way including eating, drinking and dancing. Religious feasts & festivals Easter: Easter in Syros is honorarily celebrated and attracts many visitors. 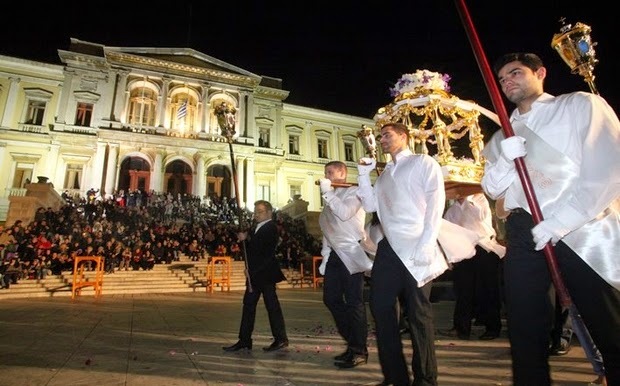 As Syros has a large community of Catholics, Easter time is celebrated on the same period for the Orthodox and the Catholic churches on the island. August 15th: On the 15th of August, the largest religious festival in Greece and the Greek islands, many festivities take place in Syros as a lot of churches are dedicated to Virgin Mary. June 30th: The festival of AgiosPetros on June 29th at the village of Kini. August 29th: The festival of Agios Ioannis on August the 29th at the village of Poseidonia. July 27th: The festival of AgiosPanteleimonas on the 27th of July in Finikas. Cultural events Guitar Festival: The Guitar Festival is organized in Ermoupolis every July. For many years now, Syros is home to one of the greatest festivals in Cyclades which lasts for 5 days and includes concerts, guitar courses of various levels and music contests. This festival is a meeting spot for new musicians. Ermoupoleia Festival: The Ermoupoleia Festival includes many cultural events, such as music concerts, theatrical performances and art exhibitions. It is usually held at the end of the summer, in early September. August Moons: AvgoustiatikaFeggaria (meaning The moons of August) is a beautiful festival taking place in Ano Syros. Local musicians of Syros are gathered in the area for a night dedicated to rebetiko music, which is very popular in Syros. In fact, this island is the homeplace of Markos Vamvakaris, the most important Greek musician of rebetiko.